Not all jobs in the education sector are for teachers. If you have studied a specialist subject you could get a job in the education sector. 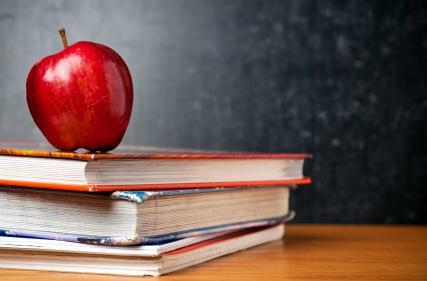 Check Strike Jobs’ guide to the Top 10 Education Jobs! Early years teachers work in nursery, preschool and reception classes. This job focuses on the development of pupils’ basic skills including physical coordination, speech and communication, mathematical skills and creativity in a safe and nurturing environment. Early years teaching includes lesson planning, working with other teachers and assistants and talking to parents. The ideal candidate has good listening skills, is energetic, has a kind nature, is understanding and creative. To work in this sector you must has a degree with a postgraduate certificate in education (PGCE) with a specialism in early years education or undergo school-centred initial teacher training (SCITT). A further education lecturer teaches students over the age of 16, so this can be in the setting of a college or university. This job requires, patience, a sense of humour, motivation and enthusiasm. On a day to day basis further education lecturers plan lessons and seminars, set and mark assignments, attend meetings with students and other tutors, act as a personal tutor and supervisor. A minimum of a Level 3 (A level equivalent) qualification in the subject you wish to teach is essential. This must be along with a teaching qualification. A head teacher should be committed, have great leadership and management skills, be organised and love a challenge. A head teacher will have already worked within their school as a teacher for a few years with a strong track record. After this time a National Professional Qualification for Senior Leadership (NPQSL) can be applied for. This is a challenging role but allows great progress. You will be in charge of the overall management of the school. The role of a private tutor is ideal for someone will their full teaching qualifications such as postgraduate students and lecturers. Private tutors must be motivated as they are working for themselves. They must also possess great inter personal skills as you will be self-promoting and encouraging students and their parents to employ you. A great knowledge of exam and revision techniques and different learning styles is key. This role would be ideal for those who are keen to work for themselves. An IT technician’s role includes solving software and hardware issues on a range of technology. An IT technician working in a school, college or university will have to work with pupils and students to fix and explain issues with computers, printers, scanners and tablets. They may have to set up new equipment and maintain and service older equipment. The ideal candidate must have a wide range of technological knowledge. There are several ways to get into this job sector, including diplomas and degrees in IT. A special education needs (SEN) teacher works with students who need extra support to help with their learning. The role of an SEN is varied as you may be required to work with individuals or small groups of students within or outside of a class. SEN teachers may work with pupils who have a mental disability, behavioural difficulties or are physically disabled. The role includes adapting teaching styles to meet the needs of each individual student. A qualified teacher status is needed to become an SEN and many people choose to get into this profession later in their career as it requires a strong understanding of specific learning needs. An educational psychologist is also known as a counsellor or therapist. The role involves helping students who are experiencing emotional problems that are negatively influencing their learning. The role includes observing and assessing students to understand their issues, supporting students and teachers, writing reports, researching and promoting general wellbeing within the school setting. This job would suit someone who is sensitive, assertive and a great communicator. Those with a degree in psychology are best suited for this role and may have to undertake further studies by completing a doctorate. Modern foreign language (MFL) teachers most commonly teach French, German and Spanish, however MFL can cover Italian, Russian, Japanese and others. Languages can be taught at a primary level or above. To become a teacher of a specific language you will have a degree in the language you wish to teach, with a certificate in teaching (PGCE). A language teacher must have great speaking and listening skills and patience. A librarian’s role includes managing the schools records and resources, cataloguing materials and advising students and staff. A librarian working in a school may have to manage all library resources such as print, audio visual and online. It is a rewarding role as librarians are often asked to acquire specific learning resources for teachers and help pupils to access learning materials. Ideally, a librarian must possess very good organisational and communications skills. Usually, a degree in librarianship is required, or an additional qualification in information management if you already possess a degree. The job of a physical education (PE) teacher combines teaching with sports. They are responsible for planning lessons, teaching and ensuring health and safety of students. The ideal candidate will have a strong passion for sports, be fit and healthy, enthusiastic and a great communicator. You must also be able to teach in a variety of ways and learn lots of new sports and skills. There are different areas of study that can lead to a job in PE, for example a degree in Physical Education or Sports Coaching along with a PGCE. Search and Apply for Education Jobs on our website! This entry was posted in Top 10 Jobs and tagged education, education jobs, foreign, foreign languages, french teacher, further education, german teacher, head teacher, higher education, it technician, Jobs, languages, lecturer, librarian, modern, modern foreign languages, nursery, pe teacher, physical education, physical education teacher, pre-school, principal, private tutor, psychologist, pupils, spanish teacher, special needs, strike, strike-jobs, teacher, teachers, teaching, teaching jobs, technician, Top 10, top 10 jobs, top jobs, top ten, top ten jobs, tutor, university, university lecturer. Bookmark the permalink.